This product is available at Ebay, Banggood, LightInTheBox.com and MiniInTheBox.com, Amazon.com. 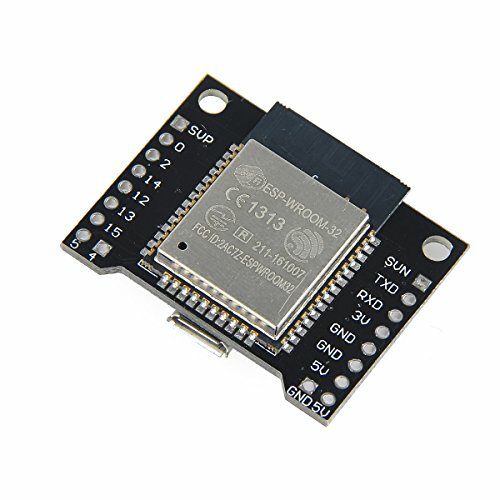 At ebay.com you can purchase Lolin ESP32 Rev1 wemos ESP32 WiFi Modules+ Bluetooth Dual ESP-32S ESP8266 for only $3.94, which is 80% less than the cost in LightInTheBox.com and MiniInTheBox.com ($19.99). The lowest price of Lolin Esp32 Wemos WiFi Module Bluetooth Dual-Core ESP8266 was obtained on 9 February 2019 2 h 06 min.